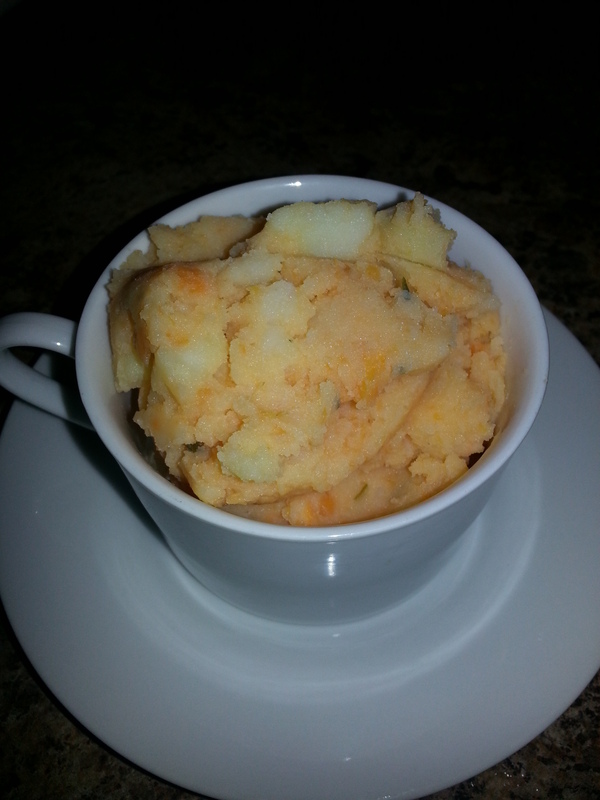 Make the Sweet Potatoes with Lime and Cilantro recipe (click) on that link for the recipe). Peel the sweet potatoes and add the lime and cilantro to the potatoes in a dish. Next: Peel 4 small white potatoes and chop them into smaller pieces. Cook them till they are soft. Mix them with the sweet potatoes and blend with a hand mixer till smooth. You can add some butter and a sprinkle (very small amount!) of garlic salt for taste and blend it in.